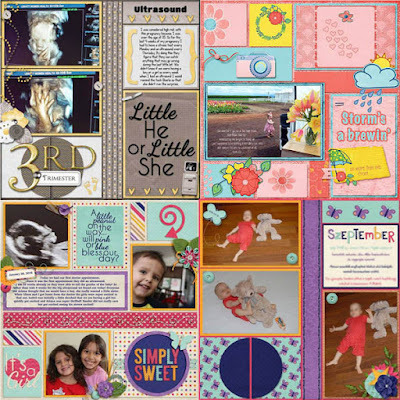 The joys of motherhood and the road to get there can be documented using my new template, word art, and word bit packs. 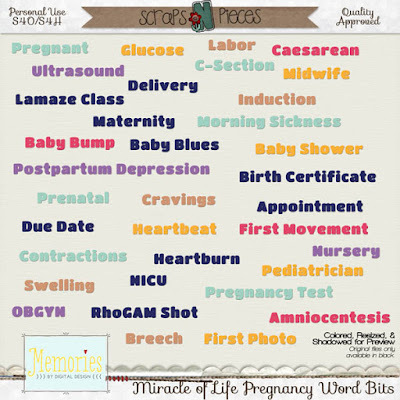 Miracle of Life is the new series of products that help you remember the joyous or not so good moments leading up to the birth of your baby. 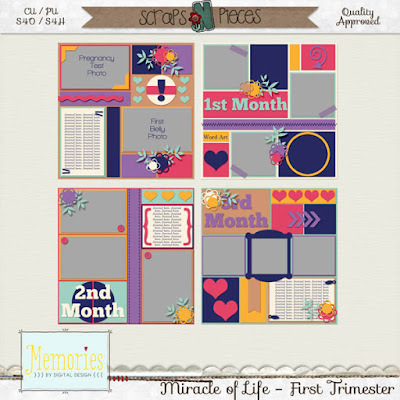 The first release includes: Miracle of Life First Trimester templates, Miracle of Life Announcement Word Art, and Miracle of Life Pregnancy Word Bits. 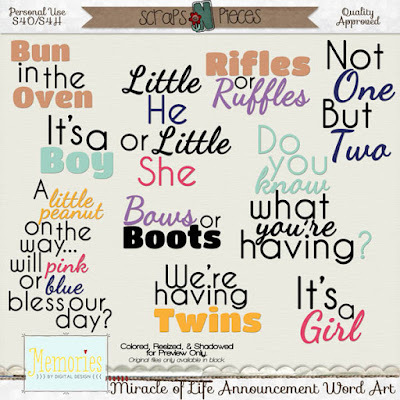 All of these are $1 each through May 7.